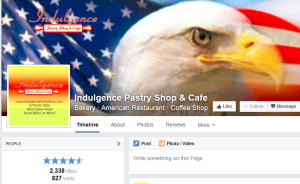 As the co-owner of the Indulgence Pastry Shop & Cafe, Executive Pastry Chef Sean Wojtkowski adds a creative flair not only to his creations but also to his social media activities. Sean manages to mix a daily fare of interesting social posts with highly successful restaurant promotion ideas, including giveaways and campaigns on their social networks. These activities keep fans engaged and provide a ‘behind-the-scenes’ look into the cafe. 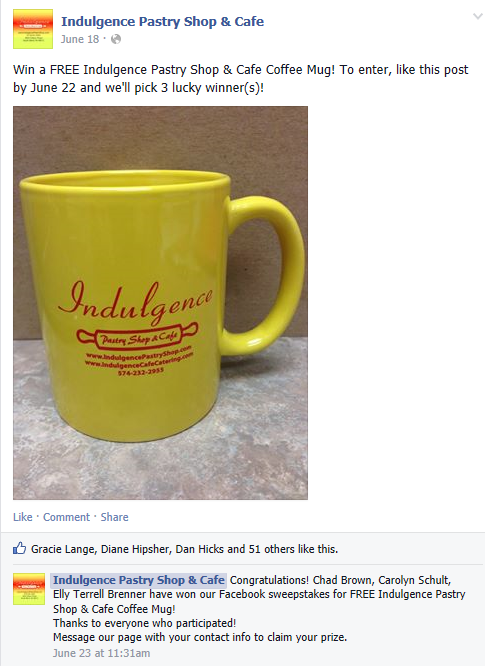 With a little over 2,300 Fans on their Facebook page, it’s amazing that a recent giveaway received over 600 entries! That’s over 26% engagement from their fans. 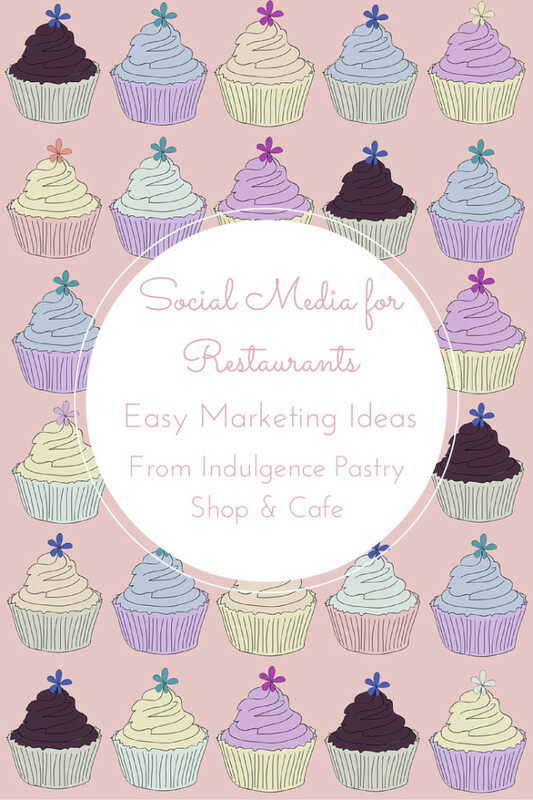 Sean has learned that the key to using social media for restaurants successfully is in keeping their social profiles active by filling up the posting calendar with a combination of social campaigns and ad hoc posts. 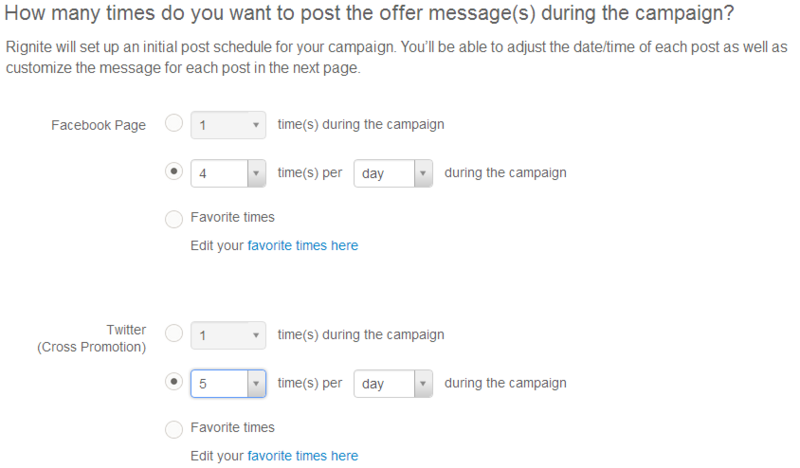 There are always new campaigns starting and often these overlap to accommodate holidays, special events, and promotions. 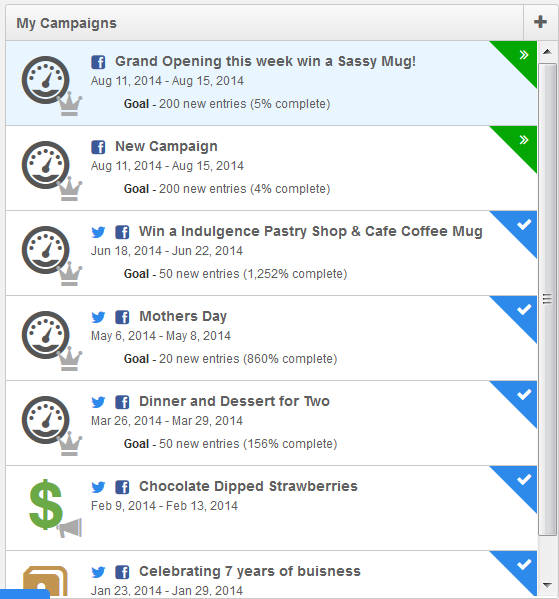 Here’s a snapshot of recent campaigns, including two that are in progress and several that are completed. You can see that initially, a conservative goal of 20-50 entries was selected for giveaways in order to test to see how fans responded to various prizes. 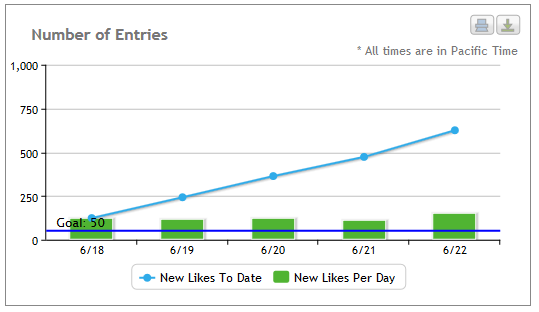 After the early campaign entries blew away the goal, a more aggressive goal of 200 entries was selected for the current campaigns. 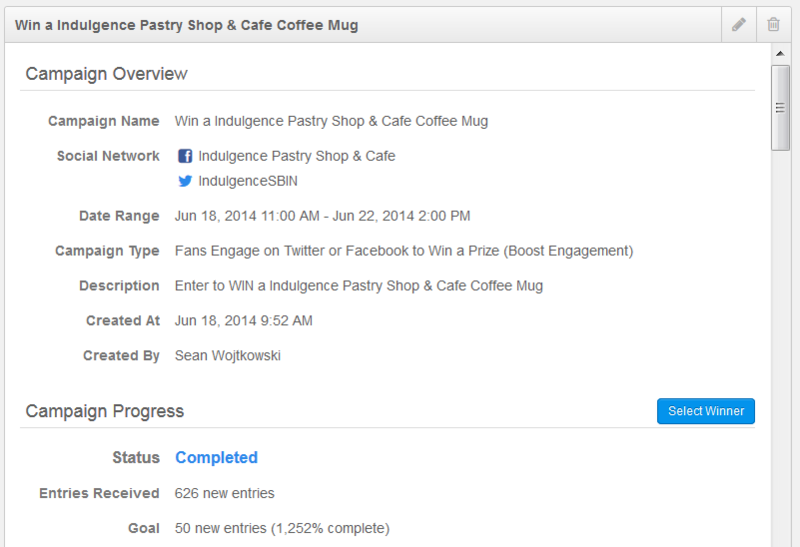 The most successful campaign so far has been a simple Indulgence Mug giveaway, which got a whopping 626 entries in four days, or 1252% of the goal! Let’s take a look at this campaign in more detail. 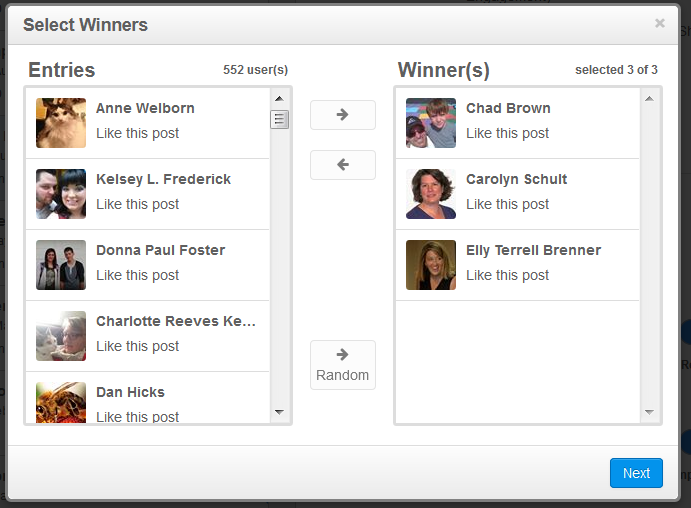 Three lucky winners were going to be selected from people who Liked the Facebook giveaway post. This campaign was also cross-promoted on Twitter, with Rignite automatically inserting the link to the Facebook post into each tweet, making it easy for people to enter. Here’s the tweet, which looks almost identical to the Facebook post except that it has a link to the Facebook post to enter. 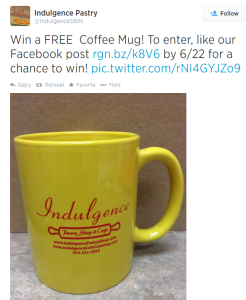 Rignite is a software solution that makes it easy to run giveaways, contests, and coupon campaigns on social media. Here’s the daily and cumulative entries tracked by Rignite. This is the Campaign summary in Rignite. It’s updated during the campaign to show progress against the goal and measures all social activities related to the campaign. In order to make sure as many people as possible saw the giveaway, the announcement was posted 4 times per day on Facebook and 5 times per day on Twitter. Rignite made it easy to automatically create a schedule of these posts, each of which can be individually customized if desired. 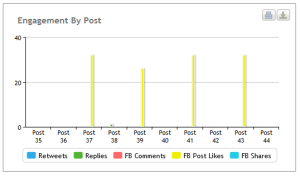 Choosing an appropriate frequency of posts is really dependent on when your audience will be online and how frequently you have other posts scheduled on each network. If you have a busy post calendar then won’t look like the same post is being posted again and again. Rignite makes it easy for Sean by automatically collecting all entries across multiple Facebook posts in the campaign and presenting them for winner selection. In this case, everyone who Liked any of the Facebook posts in the campaign series was entered into the giveaway. 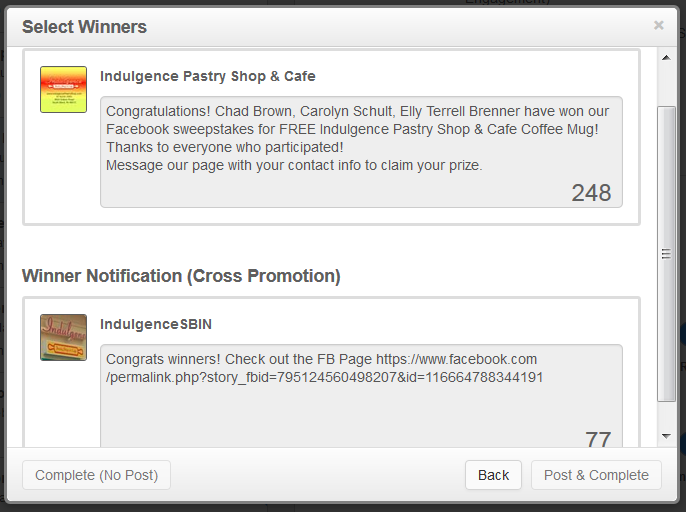 After the winners are selected, predefined winner announcements can be edited before posting on both Facebook and Twitter. Rignite makes it easy by automatically inserting winner names into the Facebook post and a link in the tweet to the Facebook announcement. The winner announcement is automatically added as a comment to the thread of any Facebook post that contains a winner entry, as well as the last Facebook post, to make it easy for the winner to be notified. 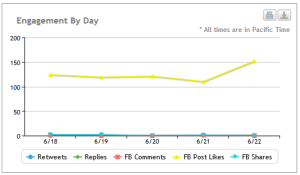 While the campaign is in progress and when it’s completed, key social activity metrics are tracked for the entire series of posts. 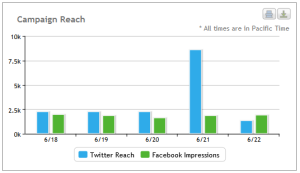 You can see from the Shortlink chart above as well as the campaign summary below that cross-promoting the giveaway on Twitter was also very important to getting more entries. 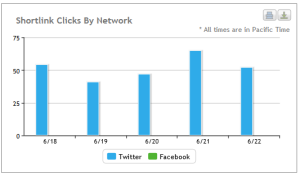 There were many clicks on the tweets with the Facebook link, and the Twitter reach for the campaign exceeded 16,000! The best thing about all of this is that, with a few clicks of the mouse, Sean is able to run social campaigns without having to spend a lot of time creating, managing, or analyzing them. 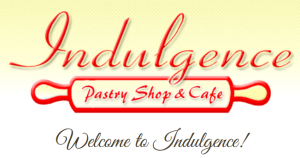 He can spend his time doing what he loves best, making pastries!